Walking suits are modern style leisure suits which are matching shirt and pants outfits and make the perfect party wear for men. They are a popular informal type of two piece dress outfit hookup. They are perfect for wearing with Stacy Adams Shoes and even real Crocodile Shoes or authentic Italian Alligator Shoes. These outfits are made to match for parties and casual leisure situations with a Kangol Hat on their head. These classy looking leisure suits for parties also make a great gift idea for the grown man who likes to dress in a stylish manner and loves his fashion menswear like dress outfits and Mens Blazers. Are you shopping online for two piece matching shirt and pants set to wear with your designer Mezlan Shoes . Then you need to get with these modern leisure suits. Maybe you're shopping for trendy party wear for men so you look your best. Here is where to buy Urban Casual Suits for Men called Mens Walking Suits. These are New York style two piece dress outfits featuring Mens Matching Shirt and Pant Sets. They are made out of fancy suit fabric and are just the thing to wear when wearing a traditional styled Double Breasted Suit could come across as being overdressed like a Zoot Suit and staying informal. Our party wear for men like our popular Leisure style Long Sleeve Mens Walking Suits with wide leg pants are Men's Dress Clothes made to look great with a Homburg Hat that include Shirt and Pants Sets that come in a dizzying array of styles and colors and fabric treatments. Where to buy unique looking Mens Church clothes like modern leisure suits has never been easier when it comes to finding a bright colored look and a matching shirt and pants set that you want to wear when it comes to stylish menswear. Where to buy fashionable cheap New York style bright colored long sleeve Leisure style Mens Walking Suits with wide leg pants and Urban Casual Suits for Men are the urban collection hookup choice for for sophisticated stylish Mens Dress Clothing. Men who appreciate unique fashion like urban mens dress wear and shop online for fancy style party wear for men and prefer to dress with style and flair like to wear Fashionable Urban Style 2 Piece Mens Walking Suits with wide leg pants to Weddings and other kinds of Fancy Parties and Events as well. Dress Outfits for Men are what Willis was talking about. The Well dressed grown man who likes hookups that feature a matching long sleeve shirt and pants sets wears urban style Mens walking suits bought online from ContempoSuits.com will be assured that he will look his very best. Here is where to buy Mens Casual Two Piece Sets online featuring fashion menswear brands like the Silversilk Collection by Michael Irvin, Steve Harvey Suits, Montique Clothing, Smokey Joe's and Pronti Menswear. Contempo Suits is the place to find the very latest style menswear collection specializing in Casual Suits and Walking Suits for grown men like Shirt and Pants Hookups online. You can find some really nice Cheap Suits here. They also make great gifts as well for men have style get dressed up. We also specialize in Mens Wide Leg Pants as well. Shopping for matching shirt and pants sets like Mens Casual Linen Sets for Men and Mens Linen Walking Suits has never been easier with the enormous selection that We Provide In Stock. Go to the Tropics in Style. Let Royal Prestige Casual Linen Menswear bring you into style with their eye catching linen walking suits and Irish Linen Casual Sets for Men. With Royal Prestige, you can have both Quality and Style. Montique clothing features 2pc walking suits made for the man who appreciates fashion menswear and dressing sharp whenever he is out in public. The clothing Montique makes features the latest styles made in the very latest fabrics that keep them right on the cutting edge of Mens fashion clothing. Silversilk Clothing is the premier brand of mens dress clothing featuring mens fashion walking suits. Michael Irvin the football player wanted to have a mens clothing manufacturer make mens dress clothing like walking suits that had the style,fabric and flair that suited him and Silversilk was born. If you like your Mens Casual Dress Clothes like Short Sleeve Walking Suits and Casual Sets for Men, look no further than ContempoSuits.com. 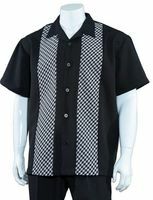 We have the most comprehensive selection mens dress outfits for men featuring short sleeve walking suits from brands you know like Montique,Pronti,Silversilk and Smokey Joe's. Treat yourself to both style and quality with Inserch casual walking suits and 2 piece sets. Inserch doesn't just have leisure style locked down but makes their leisure walking suits and sets out of fine quality fabrics that are step above the rest. You'll quickly be pleased with the way You look wearing Inserch walking suits. Look your best even when it's Summer time or if you're on a tropical vacation with the right mens casual dress clothes like our fashion short sets. Our mens short sets will keep your style on point at all times no matter the heat. Shop long sleeve walking suits in all sorts of colors and fabric patterns and finishes all designed to let you be the star of the party. You'll find popular brands ans styles from Pronti, Milano Moda and Cellengino to name a few. Get Sharp. You still want to look your best and that's where the leisure suit comes in. Men's leisure suits are suits for a more casual look that are great to wear for parties when wearing a basic suit is just way too much. A nice Leisure suit can still be worn with your favorite dress shoes and a nice mockneck shirt underneath to complete your ensemble. New Men's leisure suits will make you look your best for less. Vest Sets for men are easy to wear casual fashion outfits for the man who likes his style to be more on the cutting edge. You can wear vest sets with many different style shirts underneath for a very well put together look. Find the style of Mens dress clothing like our Big Mens Walking Suits that come in whole array of style treatments and colors to make your persona shine. We feature both short sleeve and long sleeve walking suits and even have linen outfits as well up to size 6XL. Shopping for Mens Casual Dress Clothes that are packed with the latest style. You need to take a good look at what Stacy Adams Casual Dress Clothing has for you. Stacy Adams menswear makes Mens Dress Clothes that will always have you looking your very best. Clothing that has the same essence and style that Stacy Adams shoes have. Milano Moda makes a huge selection of great looking 2 piece casual fashion sets in all kinds of pattern styles from shadow stripes to plaid designs in both long sleeve and short sleeve styles. Canto makes stylish and head turning wide leg style walking suits with wide leg pants with a full cut out of unique fine suit fabrics all designed with your sense of style in mind. You'll find the super 150s fabric a cut above other brands out there and love the way the wide leg pants drape on You. Mens sweater sets are a new fashion item featuring stylish mens sweaters in colorful designs combined with matching slacks that feature the same trim from the sweater. These sweater outfits have caught on quickly by men who favor wearing stylish walking suits but instead now have a new option. Where to buy the right style dress outfits for men online like our huge selection of matching mens shirt and pants sets is easy once you're on ContempoSuits.com. If you're a fan of New York style Casual Wide Leg Pants Suits and fashion menswear, you'll be a fan for sure of Silversilk and Smokey Joe's brand Mens Walking Suits because they are leaders of Casual Suits for men that come with wide leg pants. ContempoSuits.com is an where to buy Dress outfits for men online like our inexpensive new stylish Shirt and Pant Sets for Men. We are always getting new style dress clothes for men on a daily basis featuring our inexpensive 2 Piece Shirt and pants sets for men. When we sell a particular 2 piece set out we get a new style. 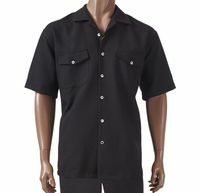 We always have Shirt and Pants Hookups including the always popular Fashionable Walking Suits on Sale. If you are looking for Discount Walking Suits., ContempoSuits.com is the place for you. Shopping Online for the dress clothes for men like the very latest dress outfits for men like stylish discount walking suits and Fashionable mens two piece casual outfits is easy at ContempoSuits.com with Free Shipping over $99. You won't be disappointed with our huge selection of great looking new style inexpensive Pant Suits. When wearing the right style Church clothes is important to you because you like to decked out wearing exclusive styles with the matching Stacy Adams shoes and matching color dress hats, ContempoSuits.com is where to buy Mens Dress Outfits for Mens online featuring Walking Suits with the biggest selection. Chances are you're going to need some new dress shoes as well. Checkout the fashionable and affordable Giorgio Brutini Shoes. Shop for Fedora Hats Here. If you like lizard skin when it comes to exotic hand made footwear, try David Eden Shoes. Read More About Mens Walking Suits Here. See some stylish retro inspired Stacy Adams Suits Here. If you like your style wild, here is where you find Urban Men Suits. You're a man who likes to look his best right? Always wearing a New Style Dress outfits for men in public. A man who prefers not to dress like someone who has no pride in Himself but a man who does have pride in how he looks. For times that you need or want to get dressed up but don't feel like going all the way and wearing a mens suit and tie, you may want to consider wearing stylish Dress Outfits for Men like Mens Walking Suits. 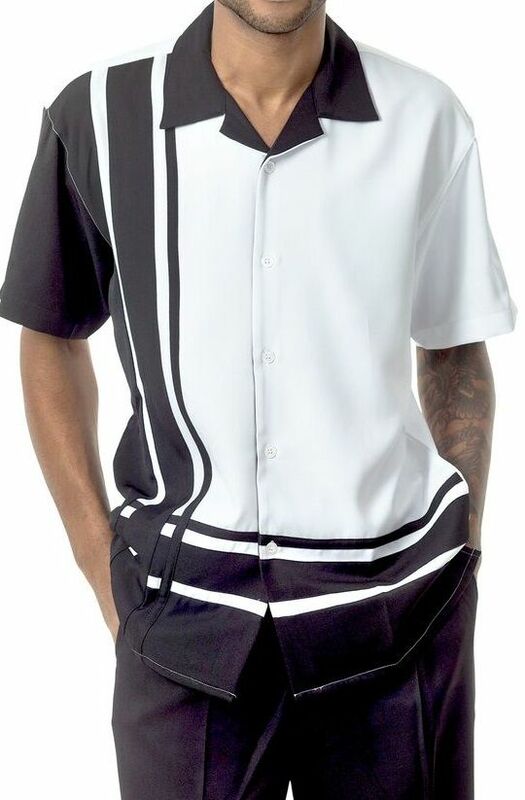 Our Unique New style Walking Suits are basically a Men two piece dress shirt and pant set made of fashion suit fabric. Stylish Men two piece dress shirt and pant sets come in every possible new style fashion suit fabric that you can imagine or come up with. Dress Outfits for Men like Urban Mens Walking Suits are a modern day new style leisure walking suit for men that consists of a matching shirt made of men suit fabric and matching pair of pants in the same suit fabric. Unique style Walking suits for men either come long sleeve or short sleeve for the warmer months and come in a huge variety of colors and fabric patterns. Pretty much any fabric that is made into new style mens fashion suits is made into fashionable walking suits. Designers get very creative with designing mens clothing like walking dress suits because they are able to add different types of pockets or trimmings that may not be as easy to incorporate into stylish looking urban mens leisure suits. They may use contrasting colors on the collars or use fancy looking buttons. Pretty much anything goes when designers come up with ideas for new stylish looking clothing for men like mens walking suits on sale. Inexpensive Mens walking suits will usually come with baggy pants and double pleats if that is the current new style of the day. It is rare that you would even find them with slim fitting flat front pants because generally it is the mature gentleman that wears new style walking suits for menswear. Mens walking suits for sale are usually worn with mens dress shoes such as Stacy Adams or Giorgio Brutini or some other type Italian style shoes including Crocodile shoes and Alligator shoes from the likes of Belvedere shoes and Mezlan shoes. This may sound obvious but you should try to match the color of your dress shoes to your online new style walking suit when you get dressed up wearing mens dress clothing. You should never compromise on your personal style because, let's face it. You are all you've got. Because generally the best walking suits are all one color, there won't be really any way to contrast the colors like you could by wearing a mens urban fashion suit with contrasting shirt and shoes. One thing you shouldn't wear with new style mens walking suits are casual moccasin shoes because they will kill the elegance of the fashionable walking suit unless you're new walking suit happens to be made out of a casual material like a linen outfit. When it comes to stores that sell discount walking suits for men, ContempoSuits.com has the largest selection that you can find online. When you're shopping online for leisure menswear you want to look at a huge selection before you make your choice. Most other stores that sell walking suits online will have a minuscule selection to what we carry and we always have the newest styles in urban fashion clothing and menswear. Keep it dressy and let the good times roll. If Italian style is what you crave in exotic skin type footwear and love crocodile, try some Belvedere Shoes on for size. When you buy Walking Suits, your wardrobe and you will look your absolute stellar best. So, when the time comes to buy Walking Suits, ContempoSuits.com is the Online Store for You. Whichever way you shop online, you won't be disappointed with our fast service and selection. You can have confidence when you shop online at ContempoSuits.com because we have low prices compared to many department stores and other online websites selling Walking Suits for Men and Casual Outfits for Men. You will be more than pleased when you see our low prices on our different style walking suits for men. Finding low priced different style walking suits and two piece casual outfits for men has never been easier than when you shop online here at ContempoSuits.com. Don't forget about our Free Shipping over $99 US48.